J. P. Linstroth is an Adjunct Professor at Barry University. His main academic research interests are: cognition, ethnonationalism, gender, genocide, history, immigrant advocacy, indigeneity, indigenous politics, indigenous rights, memory, peace, peacebuilding, racism, and trauma. Linstroth, steeped in the classics, has found the route through literature to the Greek ideal. Click the link above and join him in getting this book published, receive your copy of this work of art. Poetic Matrix Press was founded in the high mountain beauty of Yosemite in 1997, and has since grown into a press that is producing full-length books as fine as any that can be seen in any bookstore or library. 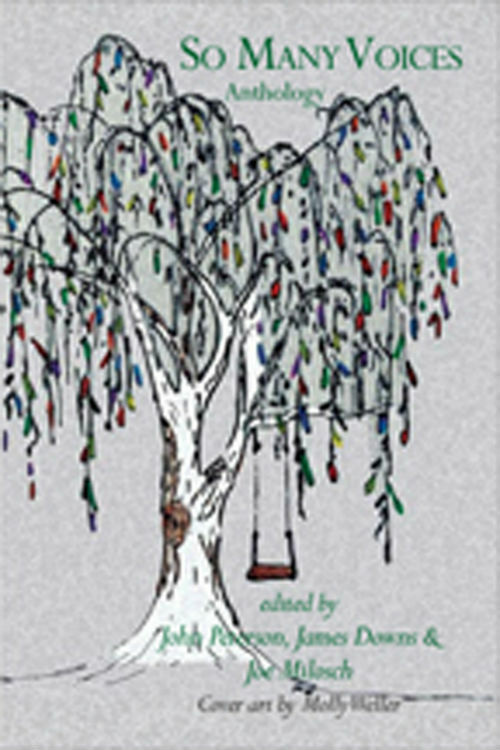 We started by producing a newsletter of poetry and essays on the poetic experience, then in 2000 we put out a nationwide call for manuscripts and published a total of 4 manuscripts in chapbook format. Since 2001 we have published full length perfect bound books, including books by poets in New York, West Virginia, Northern, Central and Southern California as well as England and South Korea. We are currently publishing out of Madera, California. 2017 is the 20th Anniversary of Poetic Matrix Press, now with close to 60 full length books. We are into our year long celebration of these books. Work has began on the Poetic Matrix Press author anthology. We are looking to place 2 poems from each book plus a new piece from each author and an updated bio. If anyone reading this would like to recommend poems please do so. We will consider all recommendations in the final choices. We’ve begun showcasing these poems on our Forever Journal blog at our website www.poeticmatrix.com. We are planning a reading in the San Francisco Bay Area and one in San Diego. It has been a great 20 years and continues on. Sisyphus is a magazine that focuses on contemporary issues surrounding art, culture, and language. If you are going to be in the Bay Area do stop by for this concert. Raphael’s poetry is beautiful as is David’s music, the two together is a real treat. 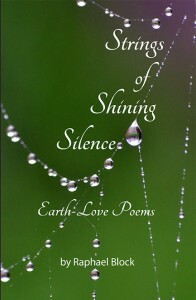 You can pick up Raphael’s book as well; Stings Shining Silence: Earth-Love Poems. “As a citizen of the world in 2016,” says DiDonato (American opera singer Joyce DiDonato) in the introduction to (her) concert programme, “at times I feel overwhelmed by the temptation to spiral down into the turmoil and pessimism that threatens to invade all corners of our lives”. But the creators of “great art”, she says, show us “both our brutal nature and our elevated humanity.” Art, she says, “unifies, transcends borders” and “is a valiant path to peace”. I don’t know if art can be a path to peace. I don’t know if it could end the war in Syria, or create jobs in the so-called rust belt of America, or fill a £122bn Brexit “black hole”. What I do know is this. When bad things happen in the world, or in our lives, that art can make us feel less alone. And I know that to create the kind of art that hits us at the deepest levels, you need to be a master of your craft. You need, you could say, to be an expert. You need to think that expertise is good. Thank you for all your comments on the 5 minute documentary that serves as my book trailer, too. It seems to have touched many of you! We would really appreciate your help to get this film into the world. So, please consider posting this link https://vimeo.com/184929769 on your FaceBook Page. I would like you to join me in releasing my new book, Strings of Shining Silence: Earth-Love Poems. Due for general publication in January 2017, if you pre-order now at http://raphaelblock.com/ you will receive a signed copy by mid-November. On my website you will also find a short documentary made by Elias Koch on my life and work, which has been accepted as an entry to the Awareness Film Festival, LA. I feel that I’m one of thousands of seeds sprouted by the Earth in this time of need. You, no doubt, are another such seed. Picked up somewhere on the net.